The Aqualux AQUA 4 Bi-Fold Door Shower Enclosure 760mm x 760mm Silver Frame - Clear Glass is a model from the AQUA 4 range of shower enclosures from market-leading showering brand Aqualux. The AQUA4 collection is packed with helpful features including an excellent adjustment range - perfect for out-of-true walls and non-standard widths. With 4mm toughened safety glass, this range offers fantastic value-for-money without compromising on style. 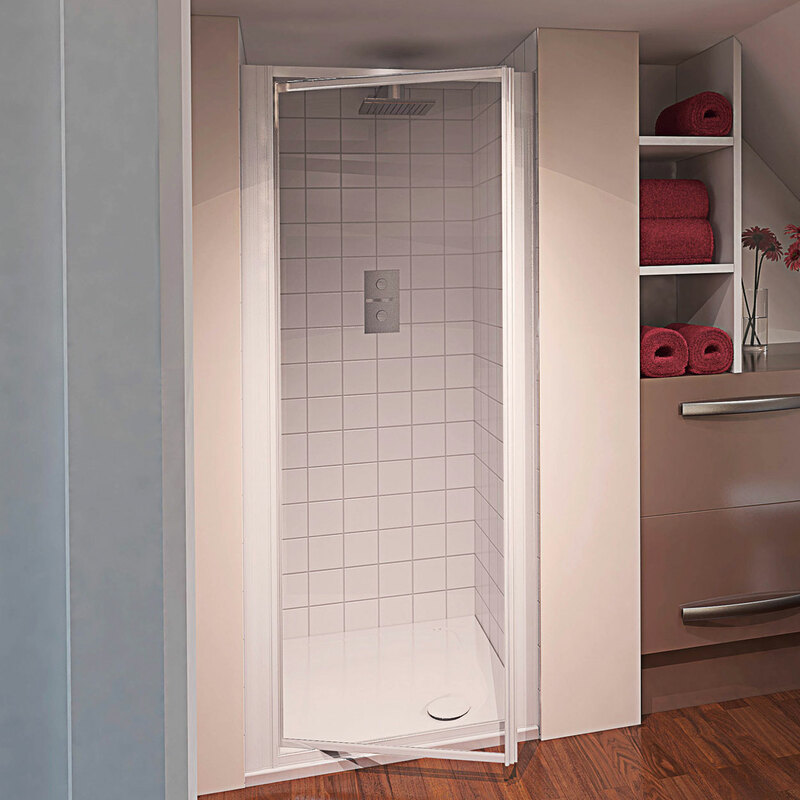 Bi-Fold doors are particularly suited to small bathrooms, especially recesses, because the door folds inwards and maximises the space available.